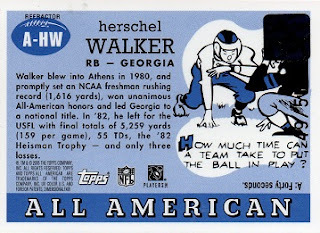 I've been trying to acquire one of the autographed versions of Herschel's 2005 Topps All American card for a long time. There are a couple different types, the regular, which is the same as the base card, except signed; and the refractor version. I tried to snag the regular autographed version twice, but was outbid both times. 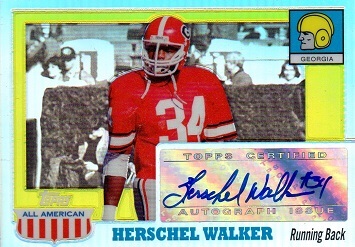 Then this chrome refractor version became available and I jumped on it. This series is numbered to 55, with this being #49.